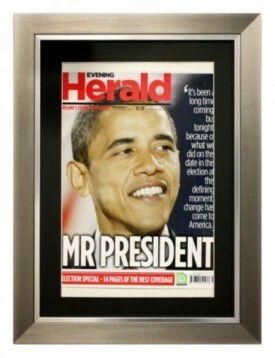 This tabloid newspaper page of your choice is beautifully framed in a gunsilver frame with an elegant black mount. The tabloid sized newsprint is not recommended for papers prior to 1960 as the text size is reduced. 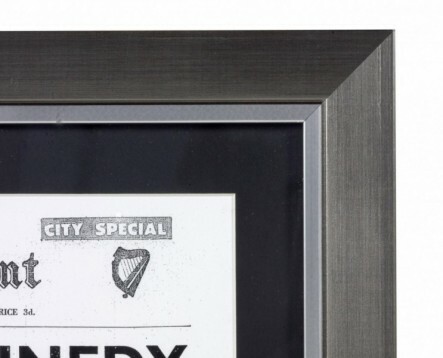 Do you need any help with this gift idea, Tabloid Framed Newsprint?